NVQ is a National Vocational Qualification. A work-based qualification, once obtained, it acts as proof that a person is competent and has the required skills and knowledge to perform tasks in their chosen job role. Electrical training opens up a world of opportunities. Not only will you be taking on an interesting and challenging job – meaning you’ll never have a boring day in the office – you’re also learning a skill that will stay with you for life. A huge benefit of electrical training is that it’s a relatively cheap course and you should earn back that money in such a few months of work. 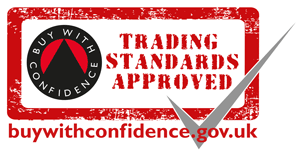 What Does The Electrical Training Course Involve? The NVQ course is broken down into three, easy-to-follow steps. There is an interesting mix of essential theory, practical skills, assessment and on-site training. All these elements combined are designed to provide ample experience for students. 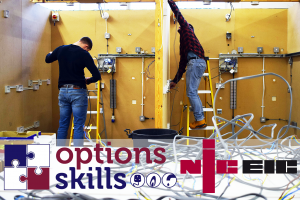 Here at Options Skills, we ensure they’re informed and confident when launching their careers as electricians. For more information about the course, take a look at the NVQ Level 3 Electrical Training Course page which includes a course syllabus. Where Does The NVQ Level 3 Course Take Place? Options Skills have three training centres located throughout the UK. In Birmingham, London and Manchester, each training centre is city centre based near major train stations and bus routes. Based in these main cities, students from all over the country train with us. We’ve even had students that have travelled from overseas and trained with Options Skills. What Are The Career Opportunities Once Qualified? Once qualified as an electrician, you can either find a role within an existing company or go self-employed and become your own boss. With electricians in such high demand due to a shortage of skilled trades workers, there is a multitude of opportunities out there to work, earn and become a huge success in the industry. What Is The Earning Potential Of An NVQ Qualified Electrician? With such a demand for electricians, the earning potential is around an average of £35-50,000 a year. However, if you work hard and get your name out there, your annual income could be much higher than that. The sky’s the limit. Options Skills have trained thousands of people over the years and boast a 99% pass rate. We strive to provide the best training possible with experienced mentors teaching the course. Each student has a dedicated student liaison manager ensuring everything runs smoothly and to help them out if and when necessary. 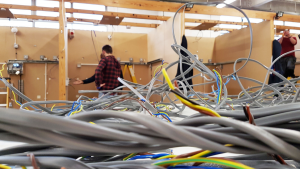 If you’re thinking about a career as an electrician, take a look at our course page for the NVQ Level 3 Electrical Training Course and call one of our advisors today for more information.